The New Raman Reti Child Protection Team is serving under the Mission of the Central Child Protection Office, to help protect children from abuse and neglect. 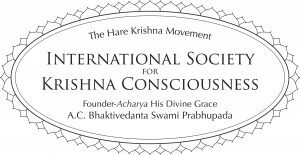 By doing so, we strengthen the future of ISKCON – the children – while providing an example to the world of a spiritual society that practices compassionate caring and protection. Our Child Protection Team is working with devotees to create a safe environment through awareness and education. You can report any concerns you may have regarding child abuse past or present. The CPT will keep all information confidential and handle all information according to local legal requirements and ISKCON Child Protection Office guidelines. Please speak with us if you suspect child abuse is occurring or if you have any questions about what is and is not child abuse. If you have suggestions on how to make our community safer for children, the CPT would like to hear your ideas.Please contact us! To learn more about child protection in ISKCON visit http://www.safetemple.org/. In an effort to increase awareness, support and healthy family dynamics, we will keep you posted on educational seminars that are scheduled in and around Alachua. Check the community bulletin board for these opportunities and help spread the word. Even if some seminars do not directly relate to your life, you may be able to help a friend or family member navigate through a difficult situation some day. By learning more, we can each further support those whom we care about. If you are interested in volunteering to be part of the CPT please contact us.